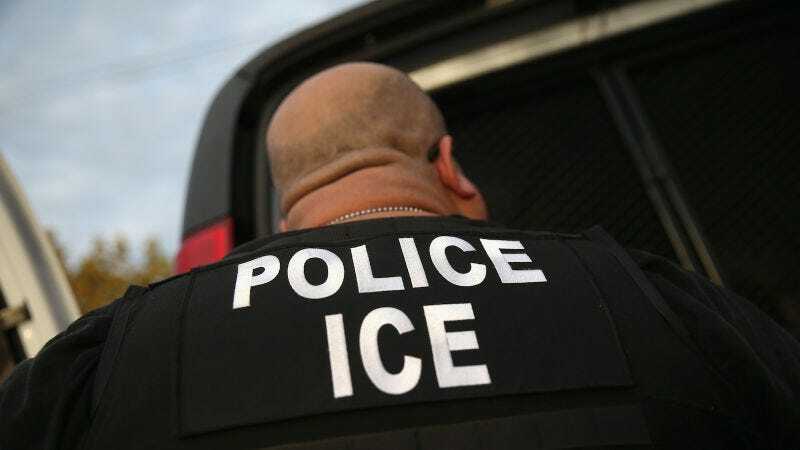 The Washington Post reported on Sunday that immigration arrests rose 32.6 percent during the first few weeks of the Trump administration, and that arrests of undocumented individuals with no criminal records more than doubled to 5,441. According to statistics requested by the Post, U.S. Immigration and Customs Enforcement arrested 21,362 immigrants between January and mid-March, up from 16,104 during the same time period last year. The rate at which immigrants with some kind of criminal background were arrested rose only 15 percent, indicating that ICE has shifted its focus significantly to detaining and deporting undocumented immigrants who have never been convicted of a crime. Furthermore, the report found that arrest rates of immigrants who have not committed crimes in New York, Boston and other major cities have doubled and in some cases tripled (or worse) since last year. Atlanta has experienced the biggest spike, with nearly 700 arrests this year, compared to 137 last year. Philadelphia officers have arrested six times as many immigrants without criminal records as they did the previous year. The number of immigrant arrests carried out since January is still far lower than in the first few weeks of 2014, when Obama was president and 29,238 immigrant were arrested. Trump told 60 Minutes just after he was elected president that under his administration ICE would, “make a determination on people…who are terrific people, but we are gonna make a determination at that.” Maybe a few people took comfort in this basically incomprehensible word mess, but then he actually assumed office and, well, now those words are officially meaningless. That’s a determination I’m willing to make.